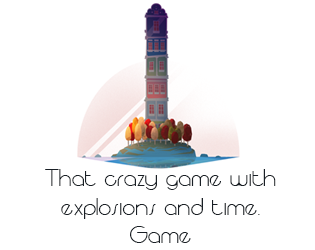 It' a game with a tall building and then it explodes but there are people in there that you need to save by running really fast and jumping on rocks. Also there is a cat on the roof that needs to be saved. Actually the people are just extra points, just save the cat.